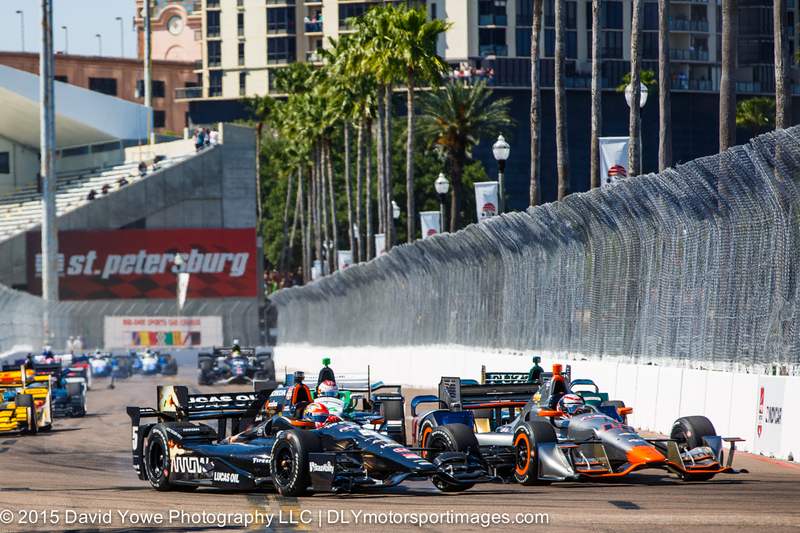 The first race of the Verizon Indy Car Series was held under sunny blue skies on the streets of St. Petersburg, Florida. Juan Pablo Montoya in the #2 Team Penske Chevrolet won the race after 110 laps and over two hours of racing. 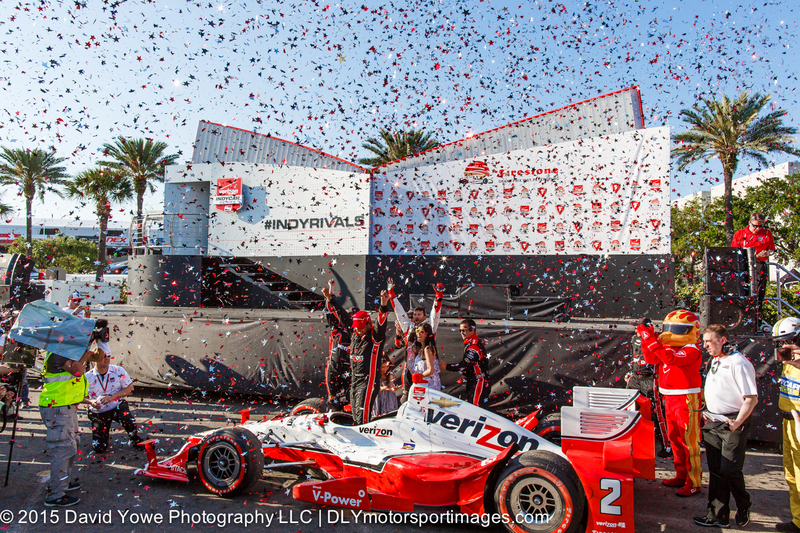 Second was team-mate Will Power in the #1 Team Penske Chevrolet, and third was Tony Kanaan in the #10 Chip Ganassi Racing Chevrolet. Hope you like the photos. 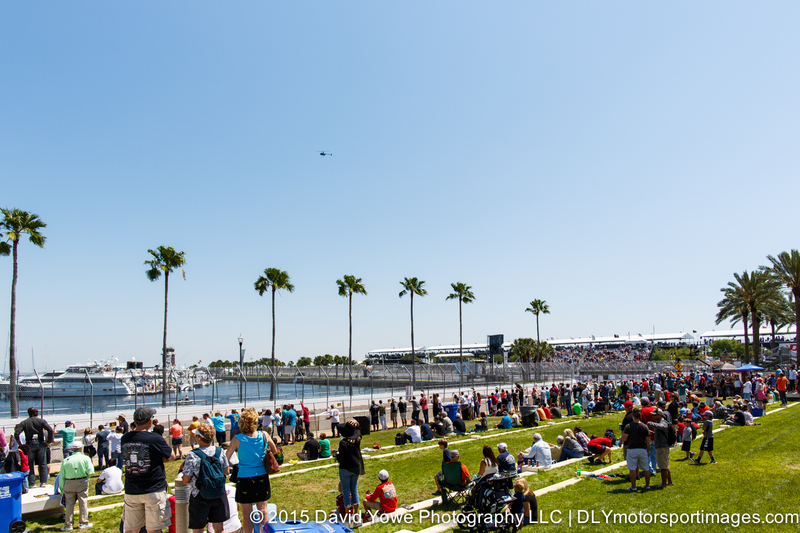 Fans lined the fences for a good place to watch the race. 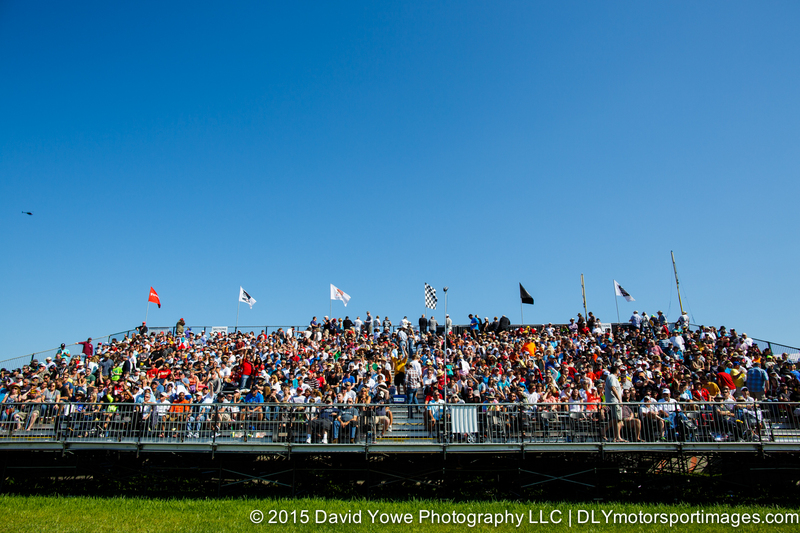 Grandstands were packed with race fans. 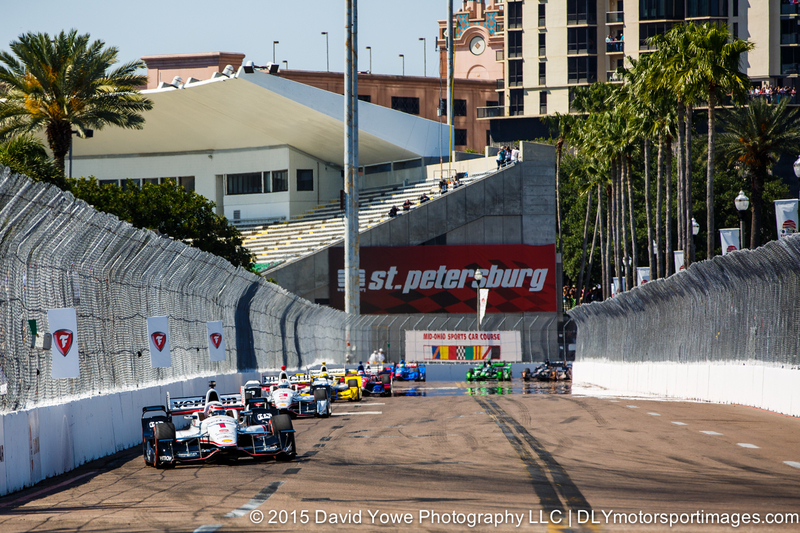 Race start, with Will Power in the #1 Team Penske Chevrolet leading the field into Turn 10. 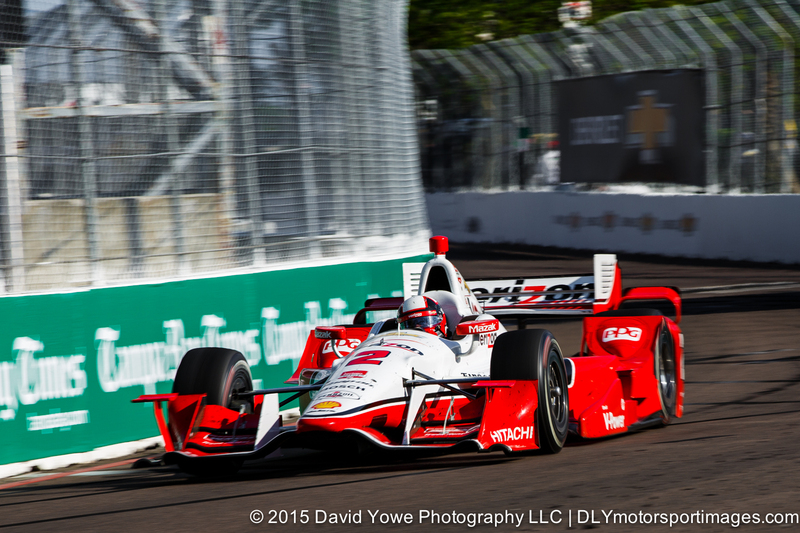 Will Power would finish the race in second position. 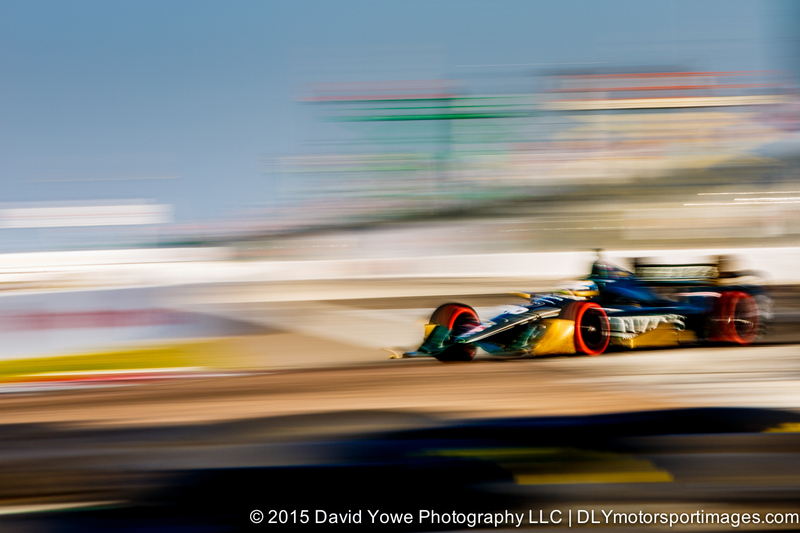 James Hinchcliffe in the #5 Schmidt Peterson Motorsports Honda and Stefano Coletti in the #4 KV Racing Technology Chevrolet “fighting” for the same line into Turn 10. 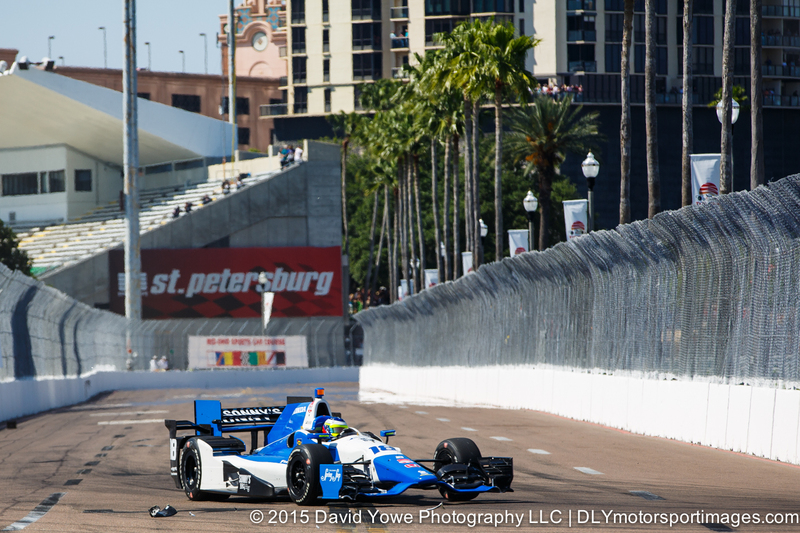 Carlos Huertas in the #18 Dale Coyne Racing Honda passing by some front wing debris. 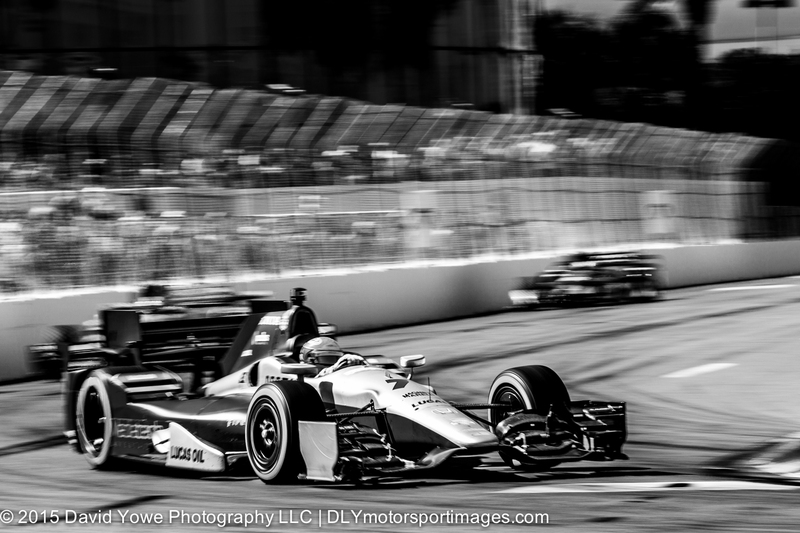 On a few occasions front wing pieces on the track resulted in yellow flags. Into Turn 10 with James Jakes in the #7 Schmidt Peterson Motorsports Honda. 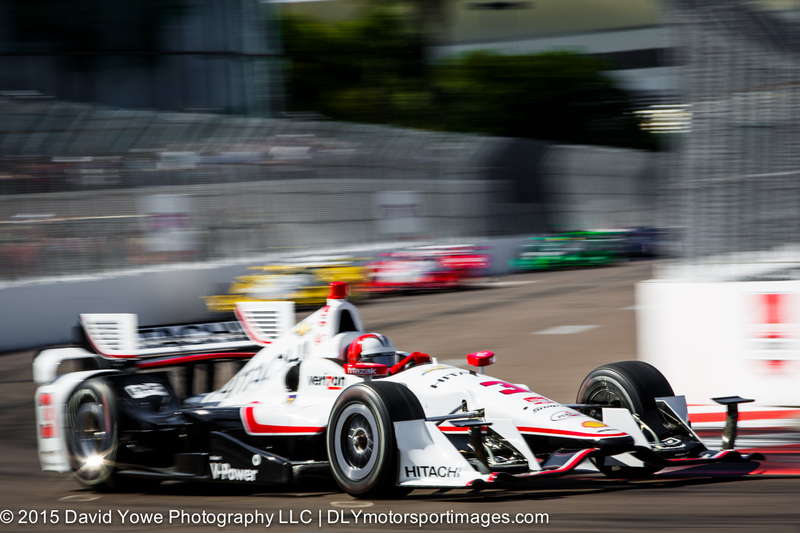 Through Turn 10 with Helio Castroneves in the #3 Team Penske Chevrolet. 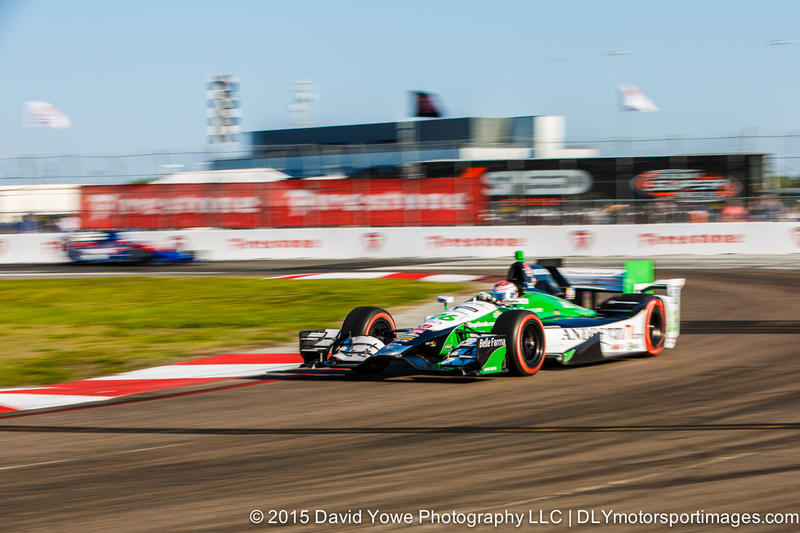 Exiting Turn 10 at speed with Carlos Huertas in the #18 Dale Coyne Racing Honda. 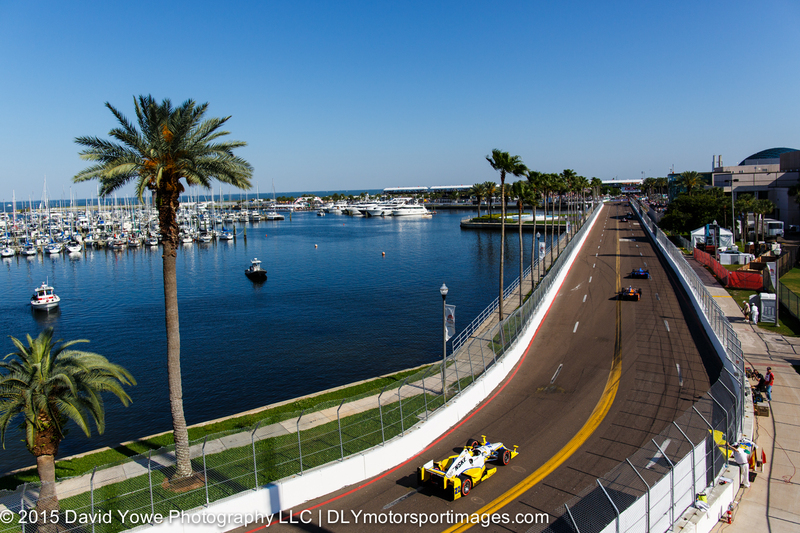 After shooting at Turn 10, walked over to the baseball stadium which overlooks the long Turn 9 to 10 straight that borders the waterfront. 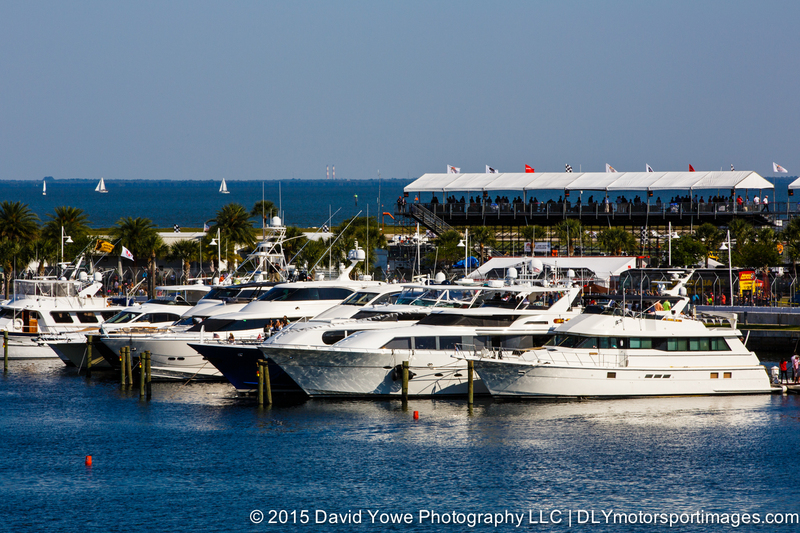 Some really nice motorboats moored along the waterfront near the track. On my way back to the podium, stopped by Turn 3. Here’s race winner Juan Pablo Montoya in the #2 Team Penske. The afternoon sun at Turn 1 was great, so stopped for some more track shots. 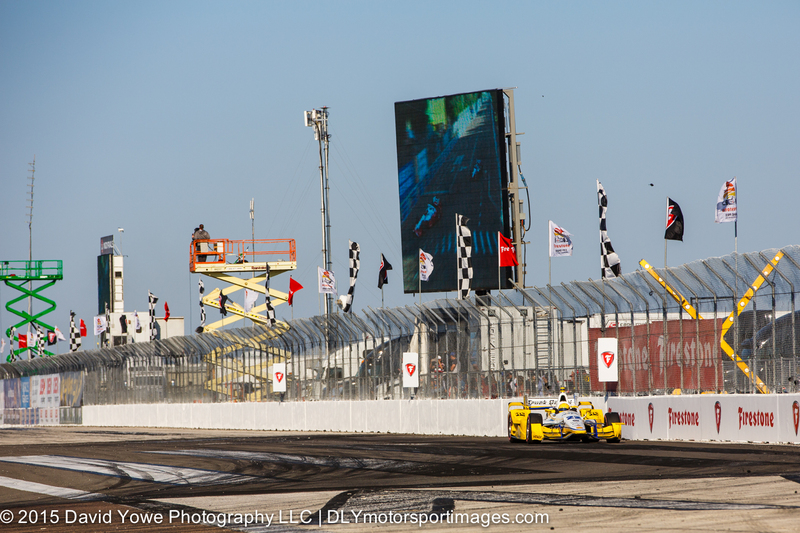 Here’s Simon Pagenaud in the #22 Team Penske Chevrolet speeding down the front straight into Turn 1. 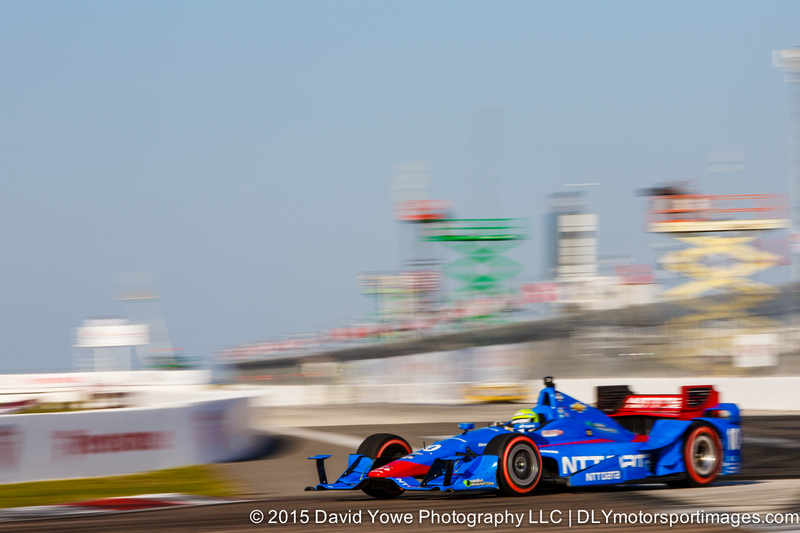 At Turn 1 with third place finisher Tony Kanaan in the #10 Chip Ganassi Racing Chevrolet. “Need for speed” with Luca Filippi in the #20 CFH Racing Chevrolet. 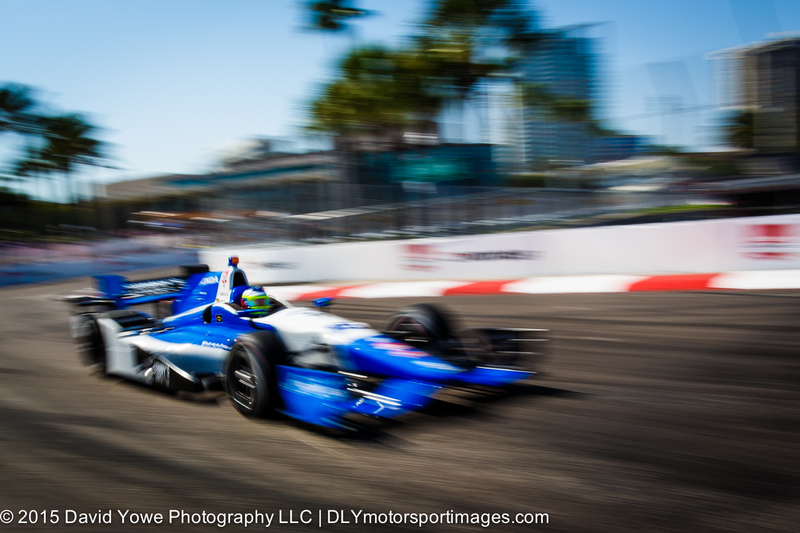 Exiting Turn 1 with Carlos Munoz in the #26 Andretti Autosport – HVM Racing Honda. 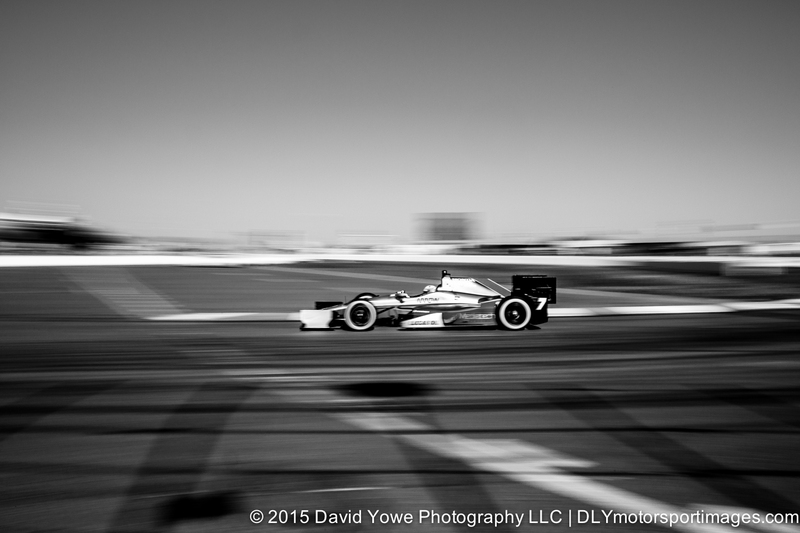 “Light, silver, and shadows” with James Jakes in the #7 Schmidt Peterson Motorsports Honda. Juan Pablo Montoya celebrates winning the Grand Prix of St. Petersburg. 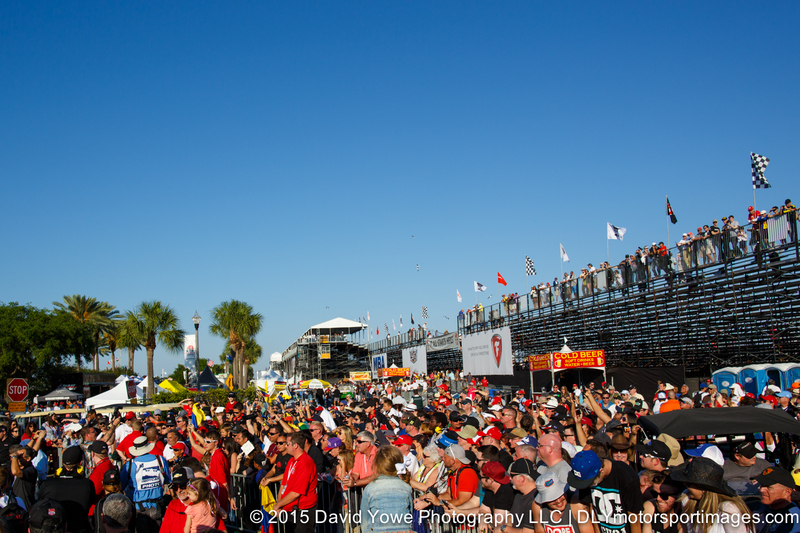 A large and supportive crowd were on hand to celebrate the winners podium. Was great hearing the crowd chant “Montoya, Montoya, Montoya ……….”. 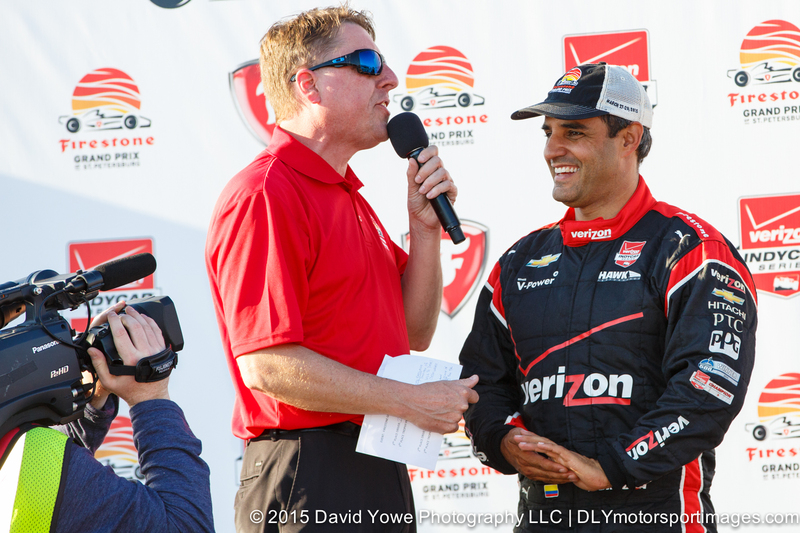 Juan Pablo Montoya being interviewed on the podium. 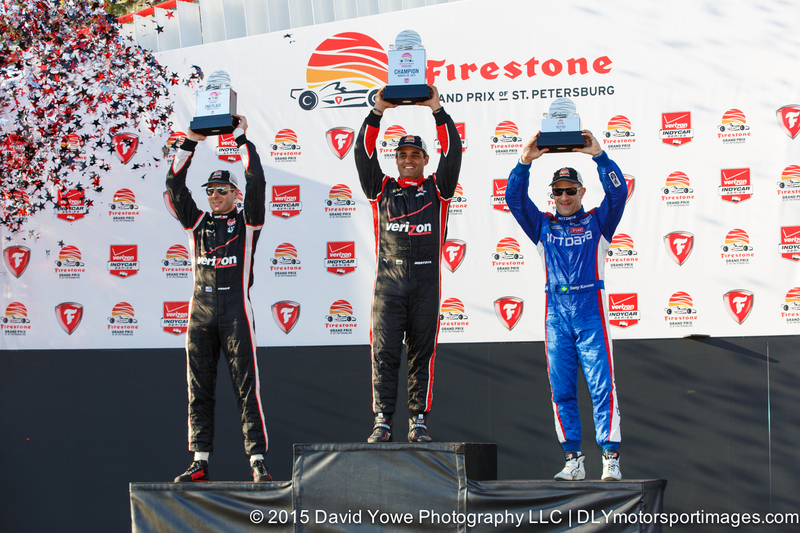 Winners podium with Juan Pablo Montoya (first, center), Will Power (second, left), and Tony Kanaan (third, right). 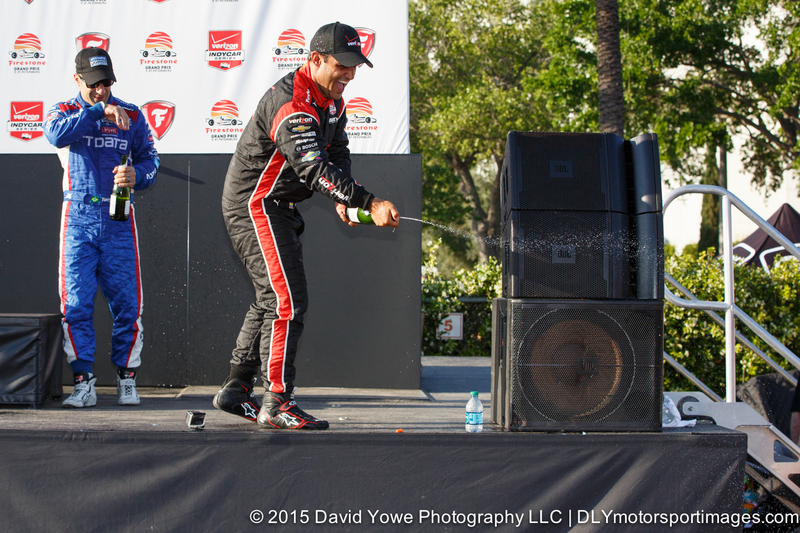 Champagne with Juan Pablo Montoya. Hi Ray. Thanks for the kind words. That’s cool you were at the top of the stadium. Must have been a great view from there.